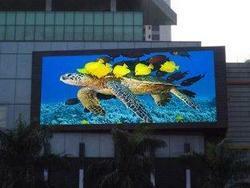 We have gained a remarkable position in the market that is involved in offering Electronic Billboard. 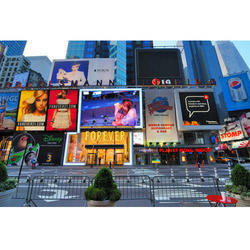 The digital billboards product suite consists of outdoor and indoor LED displays. The focal point of the offer is the LED screen displays that are internet based digital billboard technologies that can be situated comfortably in any outdoor or indoor environment. Digital billboards are primarily used for advertising, but they can also serve public service purposes. According to the needs and demands of our clients, we are engaged in offering a wide range of Digital Billboard. These products are exclusively designed and highly demanded by our customers all over the market due to its eye-pleasing appearance. New styles and modern techniques are used while designing these products.